Thank God it’s Sevenfriday. The name alone tells you that this is something different. Both in design, heft, and form, it communicates a unique aura that is totally different from competing watches in its price bracket, and even higher-end luxury watches. Like the watch itself, a Sevenfriday wearer is sophisticated, successful, and with good taste—but with a rebelliousness of spirit that makes him unafraid to stand out. While photos of Sevenfriday’s one-of-a-kind timepieces are often sufficient enough to wow even non-collectors, nothing beats the sensory and tactile experience of actually wearing a Sevenfriday watch. Up close and in motion, you can truly appreciate the elegant visual complexity of its multi-faceted dial, and admire the handiwork that defines its finishing. On the wrist, you can feel the grace underneath its massive, industrial modernity. Among bystanders, it elicits both admiration and curiosity—they want to know what you’re wearing, and how they can get one. Flash Party Scene Lasy February 7, a Friday, Sevenfriday had their first official flash party launch, establishing the brand’s presence and soon-to-be prominence in the Philippine fashion scene. Thanks to the efforts of the dynamic Sevenfriday Manila group, they treated Manila’s hip clique to a fun flash party at the Black Market on Sabio St. Chino Roces, Makati City. Also present in this happening event was Sevenfriday founder Dan Niederer himself, who flew in all the way from Switzerland to grace the occasion, as well as renowned UK-based watch blogger Anish Bhatt (@WatchAnish). Manila’s cool crew came decked in Industrial Chic edgy style as they got an exclusive glimpse of the Sevenfriday brand and its philosophy. The night peaked when the Sevenfriday identified top personalities who embody the Sevenfriday brand: Ms. Ornussa Cadness—Being an awesome epitome of chic and edgy, this DJ-model has made her own unique brand of gorgeousness with a remarkable edge. Moonlighting as a deejay with Zombettes at night and still ruling the runway during the day, she strikes the Sevenfriday balance of stylish and hip. Talent and technical skill, those are what make one own the game. For athlete Jeron Teng, winning was about a thorough mastery of his craft. Sevenfriday is quite similar. Technical perfection makes it a strong player in the watch market. And just like Jeron, the game is definitely in the bag. Up next is Chef Laudico—We know him well for some of our favorite foodie joints. He hit the culinary scene even before culinary even started trending. Today, he continues to titillate taste buds of Filipinos in the metro. In Sevenfriday fashion, he represents success in doing what you’re ultimately passionate about. Following on the list is Ms. Laureen Uy—This youthful and popular digital maven represents a leadership in a world that moves at hyper pace. With her blog Break My Style, her work becomes her passion and it seems that every day for her—whether through her OOTDs or posts—has the brightness, drive, and lightness of Fridays. She’s Sevenfriday material, indeed. Next we have Mr. Anton Del Rosario—Pinoy at heart but ultimately global in stance, this good-looking Azkal won hearts when football became all the rage. Now, he’s become a household name that proves that the Pinoy is ready for the big league. Sevenfriday will definitely take Pinoys up a notch. A TV constant with her angelic face but a spicy character, Ms. Rhian Ramos is anything but your ordinary run-of-the-mill actress. 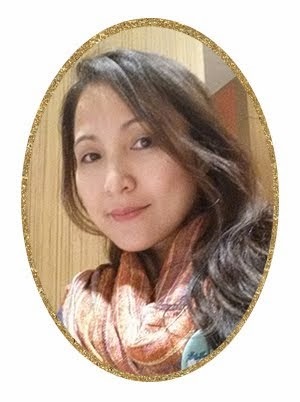 Like Sevenfriday, she stands out because she’s candidly casual but also sophisticatedly beautiful at the same time. Not a lot of people can pull off that duality like a Sevenfriday, but Rhian definitely does it with style. Last but definitely not the least is Senator Chiz Escudero. A brilliant statesman, he can make nation-building seem hip and ultimately cooler. He has the ability to bring substance and strength to the house—and like a Sevenfriday watch that always makes a tasteful statement, we expect nothing less from Senator Chiz every single time. The night grew to a hip bash as Ornussa Cadness and Sanya Smith took to the turntables with the edgy sound of Zombettes. 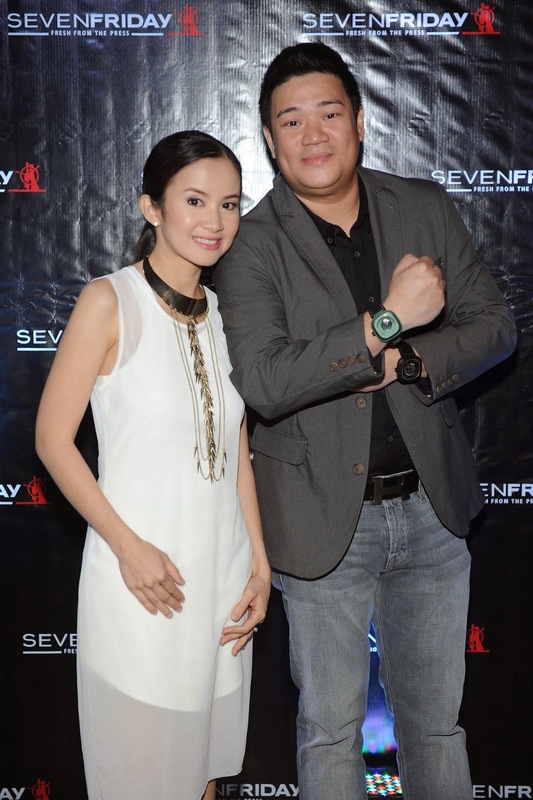 With Sevenfriday in the local scene, watch enthusiasts are now edgier, cooler, more hip. With a casual luxe brand on their wrists, Filipinos can now make every day a Sevenfriday. The Sevenfriday is exclusively available in select boutiques in Manila as well as its solo botique located at Promenade 3 fo the Greenhills Shopping Complex in San Juan City. They offer free nationwide shipping for order outside of Manila. For inquiries, please email sevenfridaymanila@gmail.com. Follow @sevenfriday_manila for updates.